Kraftwerk started my obsession with electronic music. 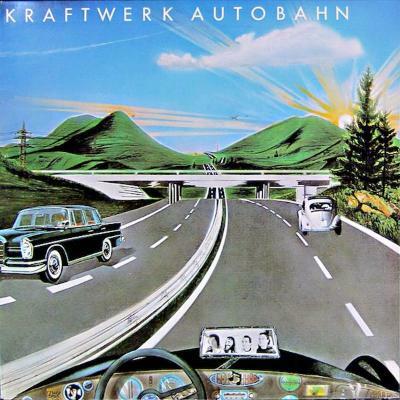 The first time I encountered Autobahn I would have been about ten or 12 – I didn’t know what a synthesiser was, what electronic music was. I heard the bassline from the start of the title track on a TV documentary. My first thought was, "what is that?" I went out and got schematics for a synthesiser and bags of components and started building these things in my bedroom – you know, with soldering iron and stuff. The fantastic thing about Autobahn is that, while it has all the very Kraftwerk-y- qualities and the sonics are wonderful, it is also very funny about itself. It has the confidence to take the piss out of itself while it is happening. If Kraftwerk came out of anywhere it was probably academic electronic music. Dusseldorf wasn’t quite Stockhausen’s manor – nonetheless, he was there or there about quite a bit. They probably came from his stuff in the very early 60s: that idea of building instruments and inventing. There is something about the secrecy around Kraftwerk that has a Stockhausen element. Most music is in a way about other music. Certainly my work is very much hooked into music history. But Kraftwerk really did invent something.